The Ultracoustic Vibration Isolator is an anti-vibration ceiling hanger for ceiling T-Bars. 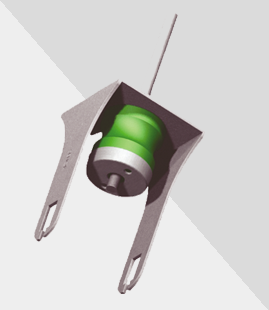 The open neck system allows for a quick and simple installation. The insulator is provided with a unique leveling system. The main advantage of using the ceiling hanger is, that you can quickly install a false ceiling, achieving a high quality finish minimum effort and costs.